Want to be notified of new releases in mangasmartin/ARjs_demos? Some simple working demos to understand how Jerome Ettiene's AR.js works. Due to the different technologies needed and its own evolution, all demos work with a determinated version of scripts you can find in the js folder. For basic.html demo you need to use the hiro marker. For custom_pattern.html demo you can use the custom marker locates on the assets folder. As is explained in the AR.js repository, you can create your own marker and its patt file here: https://jeromeetienne.github.io/AR.js/three.js/examples/marker-training/examples/generator.html. For select_image.html demo you need to use the hiro marker. 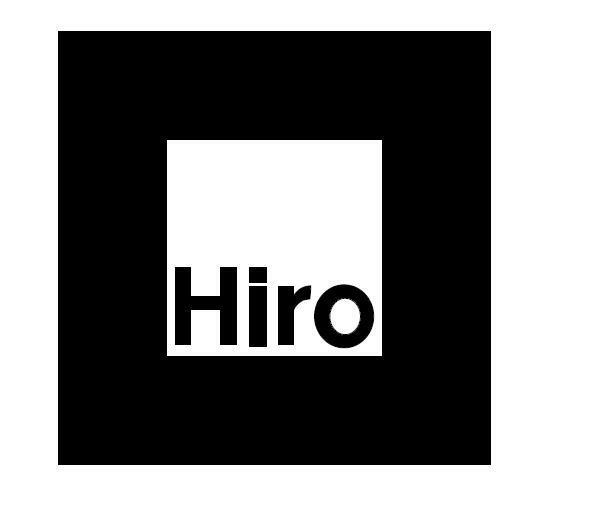 For detection.html demo you need to use the hiro marker. CAUTION: If you want to test these demos locally you can only use Firefox browser. Webkit-based browsers like Chrome, Chromium or Safari need SSL protocol due to cross-origin limitations. So it's strongly recommended to install all these demos under a https protocol server.